This week's missions are a bit funny, so much so that it could even be considered spooky! heck, we even made a category just for these missions, we call it the Scary Category! 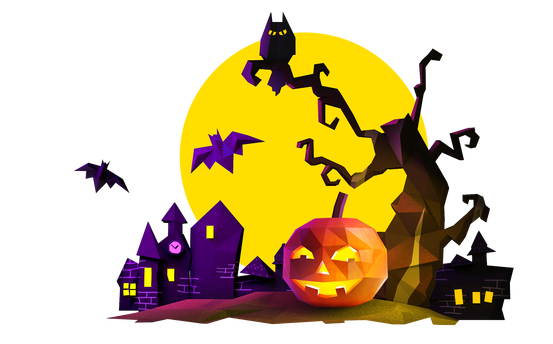 The objective of the scary category is to summon up with the craziest, most haunted solution to this mission and unleash it upon the world in a codepocalypse. No idea what I'm talking about? Here's a good example of a scary solution if you've solved the Fizz Buzz mission already. Let's try and approach clocks from a new angle. In the new Clock Angle mission, you'll be putting your code skill to work determine how the number of degrees produced by the clock hands at a given time. I can almost guarantee it's more degrees than I've got. Scare up some of your high-school math skills and dust off that dust cover you've been using for a costume because things are spooky in the Math Ghost mission. After this frightful mission, your coding skills will be down right premonitious, some might say you'll have the cheat code to predict the future! Right to Left, the mission where you join a bunch of strings together to create one block of text. And Fizz Buzz﻿﻿, the silly word game used to teach robots division. We'll be taking some time after all hallows eve to spotlight some of the scariest solutions, so get your freaky on and we'll see you out trick or treating!